Best practices in choosing and using a mark. Don't choose a mark that is confusingly similar to another mark. Trademark law is generally protective of "prior users" of a mark. When you file for a federal trademark registration the USPTO Examiner will determine whether your mark (taking into consideration the goods and/or services for which it is used) is close enough to a prior registered mark that would be likely to confuse consumers. If so, the Examiner will refuse registration. 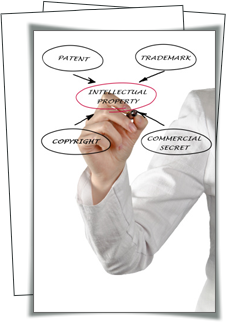 It is often not sufficient to simply search for your exact mark on the USPTO website and, if you don't find that exact mark, determine that your mark can then be registered. A mark that is one letter off (or a few letters off) can prevent you from registering, and yet it can be difficult to find all of these other marks if all you do is search for your exact mark. Additionally, the goods and services for which a mark is registered have an effect on whether the marks are likely to be confused. For example, assume you want to register the mark GLADIATOR for motorized bicycles, and assume that there is a prior registered mark GLADIATOUR for tour vans. If you simply search for the mark GLADIATOR on the USPTO website you may not encounter the GLADIATOUR mark at all, and so may be surprised when, after you file an application, the Examiner rejects your mark based on the GLADIATOUR mark. Additionally, whether or not the marks are likely to cause consumer confusion is based partly in the goods and services for which they are being used. In this case the GLADIATOUR mark is being used for tour vans, while the GLADIATOR mark is being used for motorized bicycles, and there may be arguments that could be made to convince an Examiner that, because of differences in the goods, the marks are not likely to be confused by consumers.